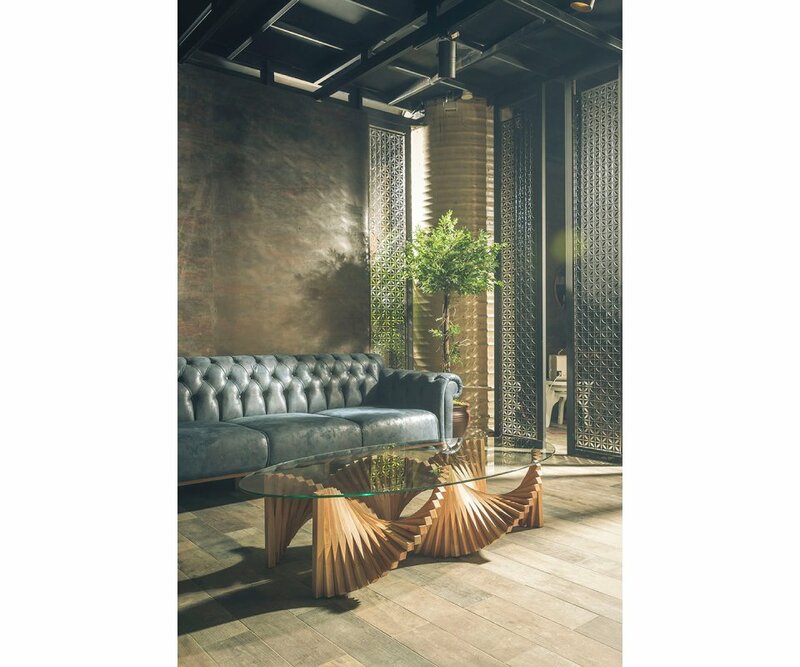 MODERN OVAL SHAPE: The table is over 5 feet long, perfect to center in front of most sofas, providing a place to set drinks and food for entertaining family and friends. 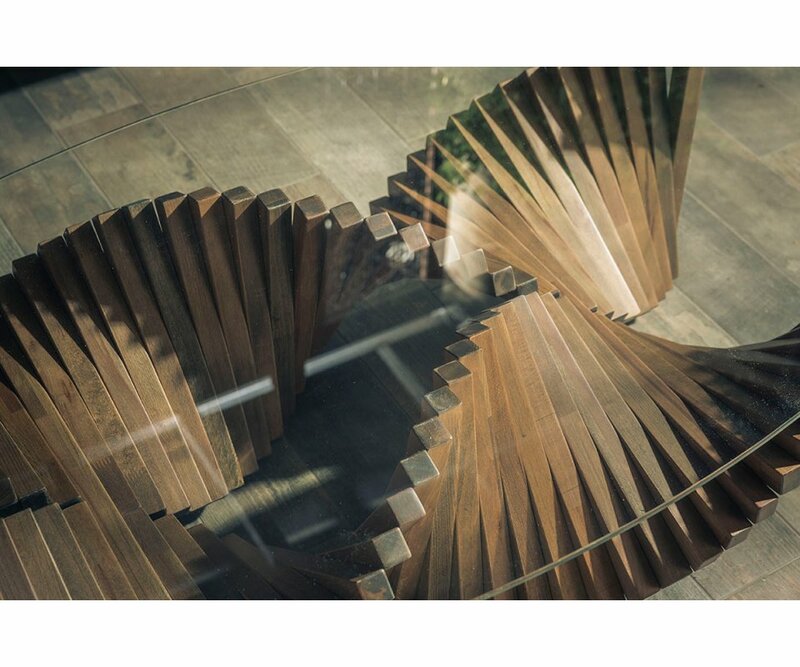 UNIQUE HELIX DESIGN: The table base is the star, with a geometric helix design that adds dimension and a “WOW factor” focal point for your living space. 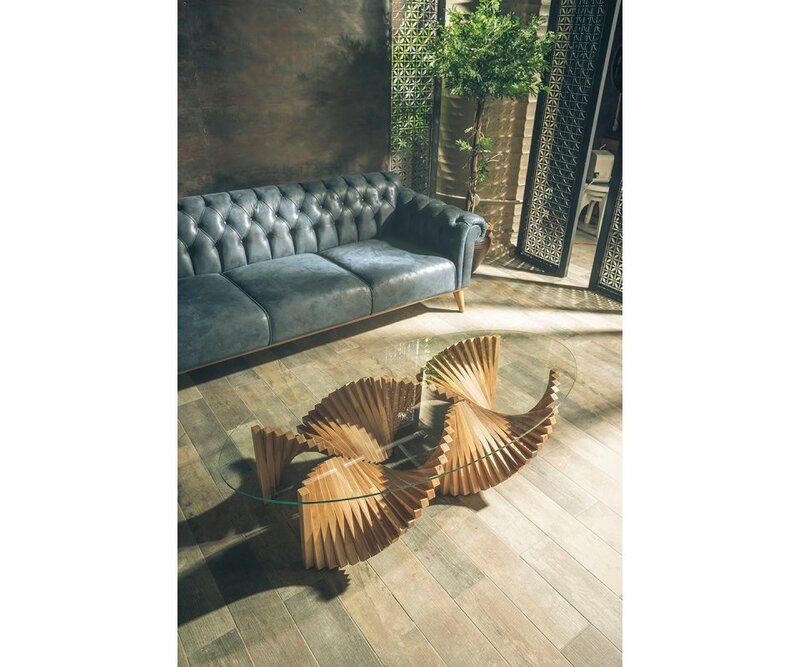 SOLID BEECH WOOD: Each stick in the base design is made from solid Beech wood, and varnished in Walnut color for durability and long-lasting beauty. TEMPERED GLASS TOP: An oval tempered-glass top is safe for the family, and provides a stunning view of the table base below. 14.2” TABLE HEIGHT: The perfect height for entertaining in a conversation area of your home, this table can hold flowers and serving pieces without blocking the view! 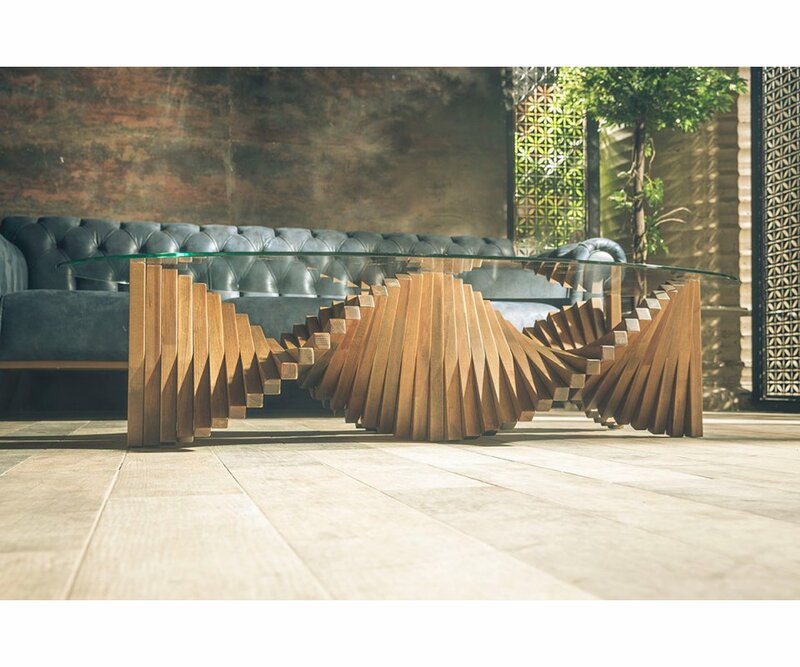 The Wanted coffee table, by Keyfex, is a designer’s dream come true! 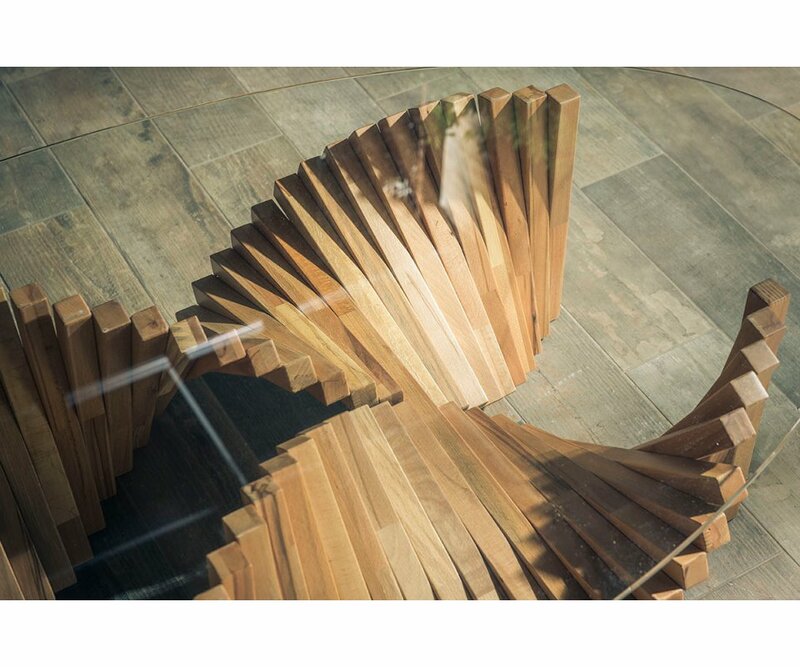 It provides an abstract focal point, with a geometric helix-shaped base made of solid Beech wood. It is built to last, with a varnished finish that provides long-lasting durability and beauty. This table is stunningly dramatic, yet traditional in color, with a soft Walnut finish that blends with most other furniture and home décor. 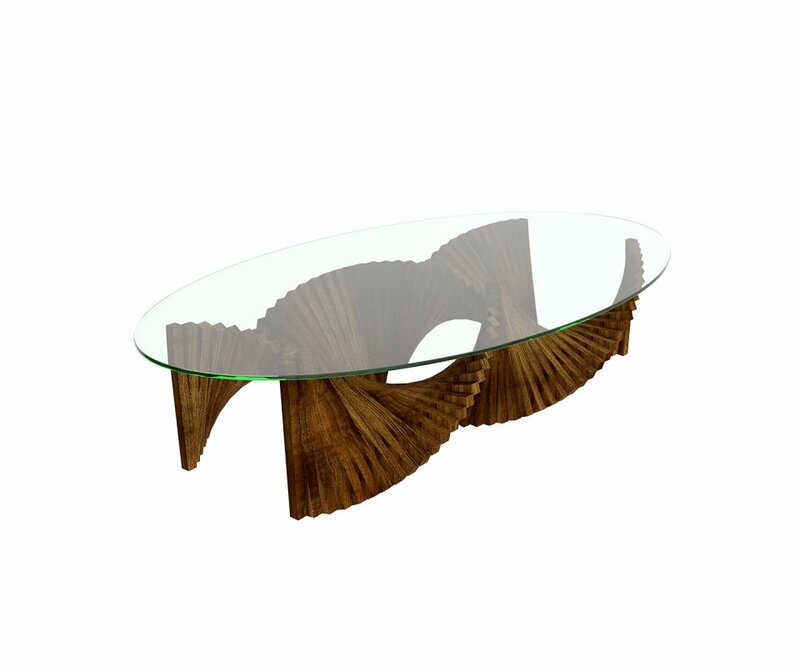 The oval, tempered-glass tabletop is safe for the family, and is over 5 feet long, providing a place in front of even a large sofa for entertaining. The table height of 14.2” is perfect for entertaining, and low enough that it can hold serving pieces and flowers without blocking your conversation area. 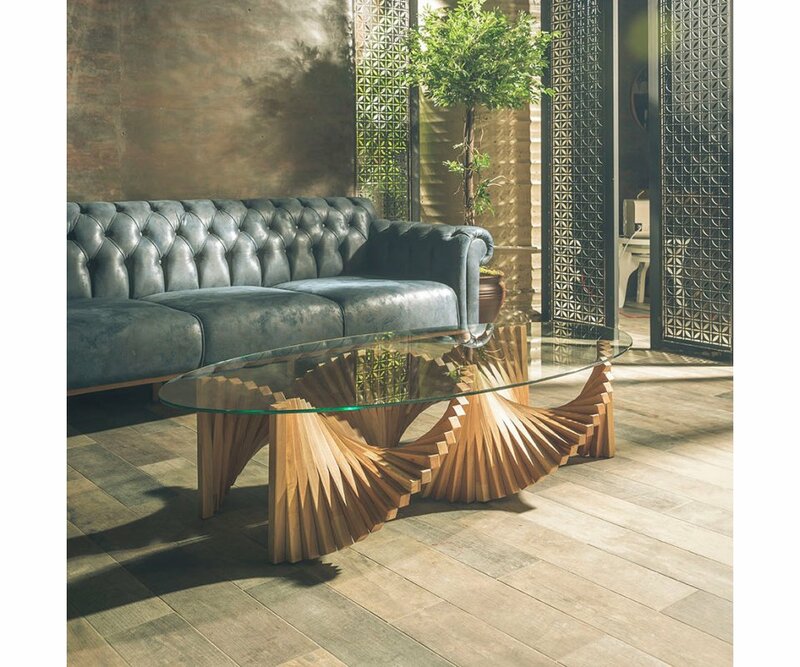 This coffee table is the piece you can style your décor around, and will give your space sophistication and intriguing dimension!